As early as January 2016, the first unmanned grocery opened in Switzerland. It’s not just a concept store anymore. In this store customers can simply use their cellphones to unlock the door. A swipe of the finger and scanning a barcode is all they need to do in order to complete a purchase with their account. They can also choose to be charged for their purchases via monthly invoice. With this shopping model users are leveraging iOS and Android apps. The backend is just a normal web application (user registration and database). The tech-stack is simple, but it can help people in sparsely populated areas. 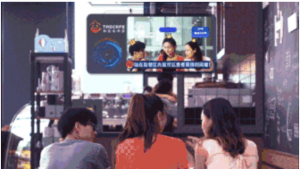 In June of 2017, Alibaba, the largest online company in China, opened Tao Cafe as a no-cashier cafe. 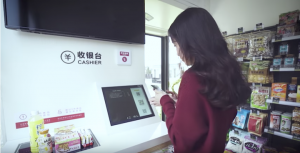 Here customers can place their order without having to wait for a cashier. Just like the store in Switzerland, users need to have Alibaba’s app and a registered account. To open the door a user just needs to scan the QR code with the app. This step will allow the system to identify their account and their Face ID. When customers shop, the system can get correct data about the customer’s wait time. It can also track a customer’s movement while they shop within the store. To finish shopping, customers simply pass through two doors. The first is for charging from their account, the other is the store’s exit. When a customer enters the first door, the shop’s server will start computing the amount to charge the customer. In this step, the customer is not required to scan items or phones. The store’s server uses face recognition technology to figure out the right account. After a successful checkout the exit door will open. If an unrecognizable customer enters, the system will ring the alarm and notify security. After the success of Tao Cafe, a similar store has popped up called Bingo Box. 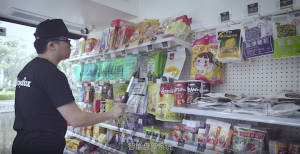 It’s an unmanned convenience store that only contains packaged food. To shop there, a registered Wechat account and Face ID are required. Wechat is a multi-functional chat app. It’s also the hottest app in China. You can read my last blog post to get more information. In order to enter the store for the first time, customers need to scan a QR code and their face. Later on they only need to scan their face by standing in front of the door to get in. It doesn’t matter if customers are waring makeup, hats or masks (not a costume mask, sorry) the system can still recognize them and open the door. Also, if unregistered users are detected in store, the alarm will ring and notify security. Customers shop by taking whatever goods they want and pay by placing all items onto the checkout board. 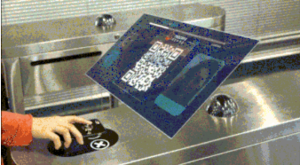 The checkout board is a scanner that scans RFID tags on items so that all items can be scanned and cashed out at the same time. A receipt will automatically be sent to customers’ Wechat and funds will be charged to their Wechat accounts. If customers miss paying for any items a scanner on the exit door will detect it and sound the alarm. Bingo Box is not only a shop that brings convenience to customers, but also to merchants. Since RFID tags are on the packages, it’s easy to get all the information about inventory by scanning the whole rack at once. It’s much faster than the traditional way, counting items one by one manually to find out what items need to be added or rearranged. The new technology effectively cuts the time and number of people needed to run the business. Besides the unmanned stores mentioned above, Amazon Go is supposed to be coming very soon. It is planned to be very different from the stores discussed already though. Customers will only need to scan a QR code to enter. The checkout process is simply exiting the store. Items that customers take out of the store will be billed to their Amazon account. Behind this simple shopping experience is a series of extremely complicated calculations. After watching the video of how Amazon Go works, it can be assumed that its system is very powerful. 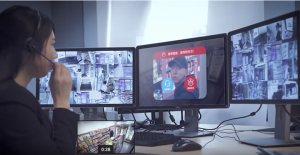 Facial recognition and bluetooth tracking with each customer’s cell phone identifies and tracks the location of customers throughout the store. The amount of money to charge a customer is tracked in real-time based on items that they remove from shelves, the system can even calculate the correct price for items that are priced based on weight. If a customer puts an item back in the wrong place the store can tell that they no longer have the item and will remove it from the customer’s “cart”. Even though unmanned grocery stores may lead to fewer retail jobs, they have many advantages that cannot be ignored. Unlimited business hours, remote/rural locations, efficient supply chain management, shelf management and warehouse management help create a higher profit with more convenience for the customer. These are just some of the factors driving the innovation of unmanned grocery stores.